The all-new Dodge Charger is immediately recognizable but boasts many enhancements inside, outside and underneath its more aggressive skin. From the front, the crosshair grille returns, although the headlamps are more canted than before and the fascia tilts at a slightly more aggressive angle. The Dodge Charger's side profile is sleeker and more coupe-esque than the outgoing model and revised wheel designs look more upscale than before. Perhaps the biggest changes have been applied to the Charger's tail, where a full-width tail lamp arrangement visually links the Charger with both past Dodge Charger's models and the company's Dodge Challenger sibling. 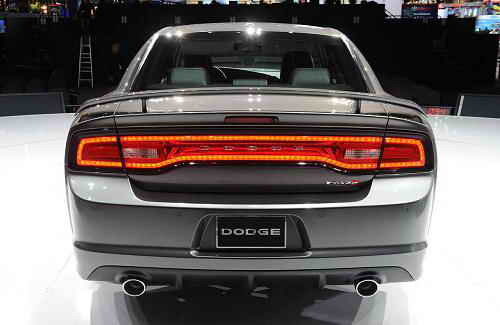 Dodge calls the tail lamps a "racetrack" graphic when their 164 LEDs are illuminated. Below the tail lamps, new squared-off tailpipes exit a more finished-looking faux diffuser. The interior - a point of contention for many Chrysler products in recent years - now features upgraded materials and more cosmetically appealing designs, as well as Garmin navigation with Sirius Travel Link and the meaty corporate-wide three-spoke steering wheel that has arrived on nearly every new Chrysler product for the latest model year. 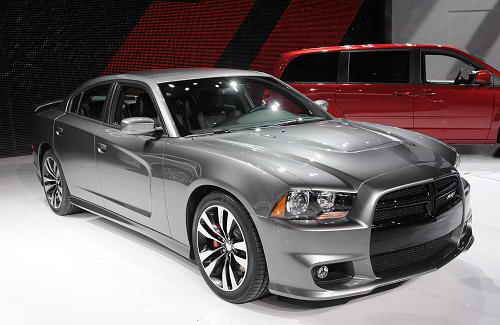 Several upscale options have been added to the Dodge Charger for the latest model, including adaptive cruise control with forward collision warning, blind spot monitoring with rear cross path protection and a rear backup camera with grid lines. 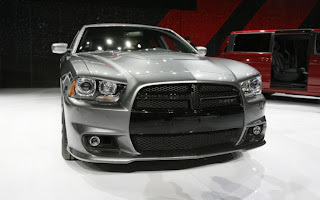 Although the Dodge Charger still rides on a Mercedes-Benz-derived platform, Dodge says that the architecture has been re-engineered so much that it now considers it its "second-generation" E-segment platform. The all-new Dodge Charger is available in the U.S. in three models: Dodge Charger SE, Dodge Charger R/T and Dodge Charger R/T AWD. Dodge Charger SE now features one all-new V6 engine instead of the previous two. The new 3.6-liter Pentastar V6 engine delivers 292 horsepower (up 63 percent) and 260 lb-ft of torque (up 36 percent) compared with the previous entry-level 2.7-liter V6 engine. When compared to the previous high-output 3.5-liter V6 engine, the new Pentastar V6 engine produces 42 more horsepower (up 16 percent), and 10 l.b-ft. more torque. Dodge Charger is emphasizing its Charger R/T AWD, which comes with 19-inch wheels, the 5.7-liter V8 and a segment-exclusive active transfer case with front axle disconnect. Dodge says the front axle disconnect helps save five percent on fuel economy by utilizing only rear-wheel-drive unless additional traction is needed. Performance handling requires maximum grip, and the all-new Dodge Charger now holds .90 g. Aiding in the fastback four-door car's improved road-holding capabilities is more aggressive front- and rear-camber geometry. 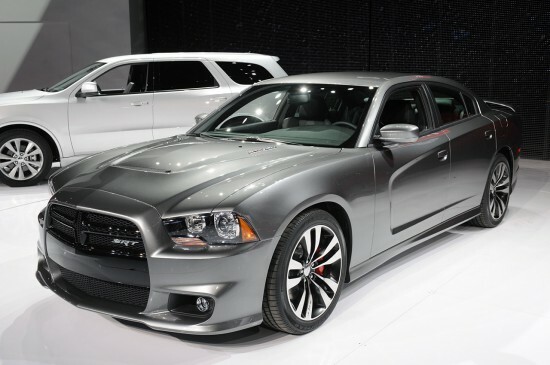 Set at -1.0 degrees in the front and -1.75 degrees in the rear, Dodge Charger is set up for high-speed cornering with its tires leaning inboard at the top relative to the body. All-new premium hydrobushings combined with new monotube shock absorbers, spring rates and redesigned front and rear multi-link suspension geometries improve performance handling dynamics, smooth braking characteristics and deliver a more comfortable ride. Among other suspension .5-inch (13 mm) tighter tire-to-fender fitment, a .15-inch (4 mm) lowered overall ride height and larger 19-inch wheels with P235/55R19 all-season performance tires. 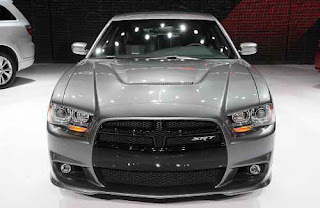 Beyond its lower center of gravity, the Dodge Charger R/T AWD also gains improved handling due to new upper- and lower-control arms and shock-absorber bushings. In addition new half shafts feature high-precision bearing units that are sealed for added quality and durability. Transmitting the Dodge Charger's maximum grip to the driver is an all-new electro-hydraulic power steering (EHPS) system that features 25 percent quicker steering, more precise road feel and improved on-center tracking while reducing steering noise and fuel consumption.